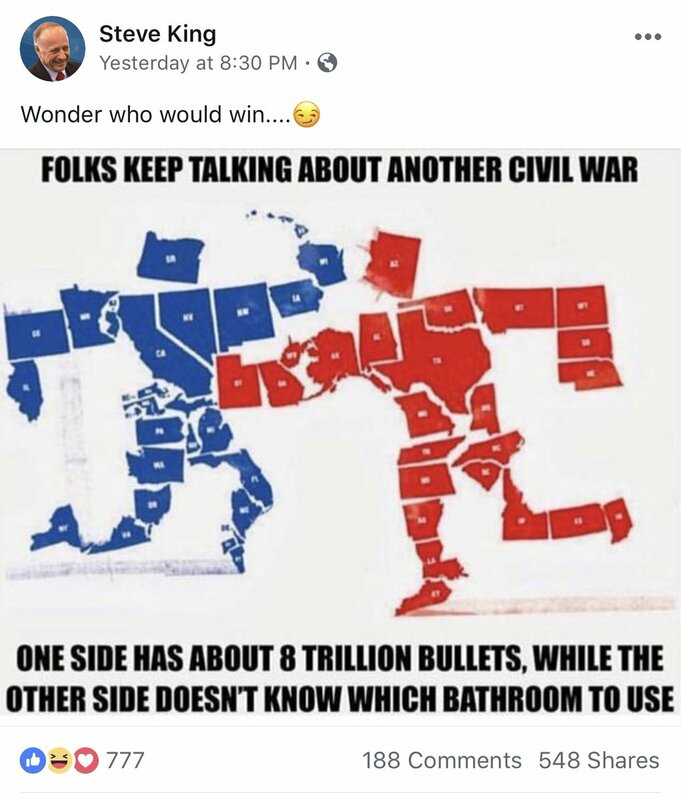 Republican lawmaker shares image claiming “red states” have 8 trillion bullets. Leaked chat logs revealed military servicemen with ties to the extremist group Identity Evropa. The Anti-Defamation League says white supremacist propaganda has increased by more than 180 percent in the past year, as the groups seek to recruit disaffected white kids looking for community. Florida man pleaded guilty on Thursday to criminal charges in connection with the mailing of bombs to prominent Democrats and other critics of U.S. President Donald Trump. Cesar Sayoc, 57, entered his plea before U.S. District Judge Jed Rakoff in Manhattan federal court. An arsonist set a fire that blackened the walls of an Escondido mosque early Sunday and left a note on the house of worship’s driveway referencing a shooting rampage at two New Zealand mosques that left dozens dead, investigators said. Several people who were inside the Islamic Center of Escondido on West 6th Avenue spotted the flames about 3:15 a.m. They managed to put out the fire before it caused any serious damage, Escondido Police Lt. Chris Lick said. Officers and firefighters arrived soon afterward and quickly determined the fire was probably intentionally set. It was unclear what was used to set the blaze, and no suspect information was available. Lick said investigators found a note on the driveway of the mosque that referred to the March 15 shootings at the Al Noor Mosque and the Linwood Islamic Centre in New Zealand that left 50 people dead. A recent leak of more than 200,000 online chat logs from a white supremacist group reveals how local members are targeting students on San Diego college campuses and trying to project a respectable image even as the group’s members privately espouse Islamophobic, anti-Semitic and racist views. The group, called Identity Evropa, is nationally known for helping organize the “Unite the Right” rally in Charlottesville, Va., where a protester was killed and dozens injured over two days of clashes. James A. Fields Jr. rammed his car into counterprotesters at a 2017 white-supremacist rally, killing Heather Heyer and injuring 35 others. He entered his plea in federal court in Charlottesville. Fields was convicted late last year in state court of first-degree murder and other charges in the ramming and was sentenced by a jury to life in prison.